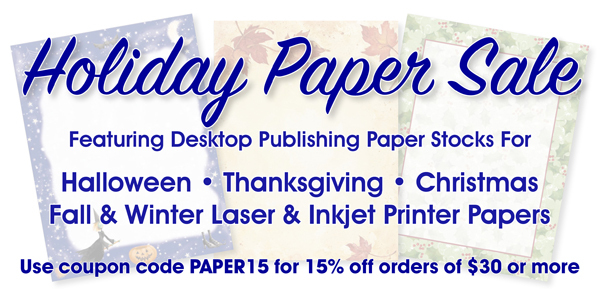 to get 15% off any paper stock order of $30 or more. Our preprinted holiday computer paper and printer papers are perfect for flyers, menus, announcements, special events, certificates, stationery, and much more. These beautiful full color printed papers save you money and time, since you don't have to waste precious colored ink and toner, and you still get a fabulous full color printed piece. We have pack sizes starting at just 25 sheets of laser and inkjet printer paper, and offer bulk discounts when ordering more. Save on any size laminating pouch, in any MIL weight. We carry small laminating pouches, perfect for laminating business cards, drivers licenses, luggage tags, or photographs, as well as letter size and large menu size laminating sheets. 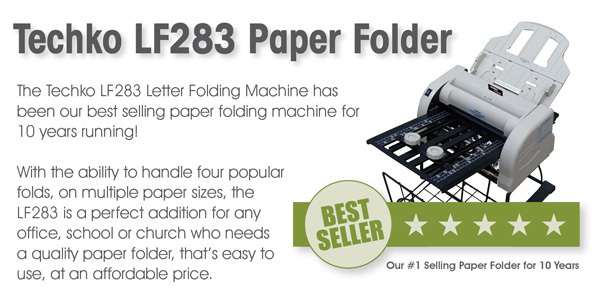 And unlike many sellers, we carry our most popular sizes in smaller packs, starting at just 25 sheets. No more wasted pouches when you only need a few for a specific project. 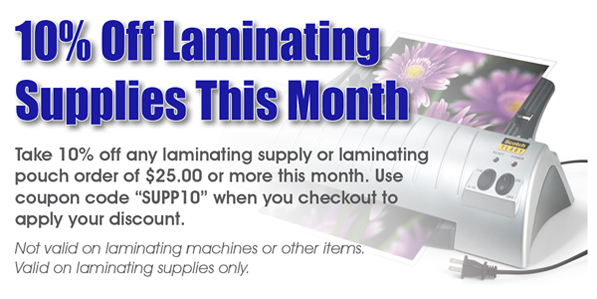 Need an affordable laminating machine? We have those too! Our online "u-print" print shop allows you to easily design and order custom printed products such as business cards, letterhead, envelopes, rubber stamps, shipping labels, and promotional products, without ever having to leave the comfort of your home or office. Struggling with counting large amounts of money in your business? 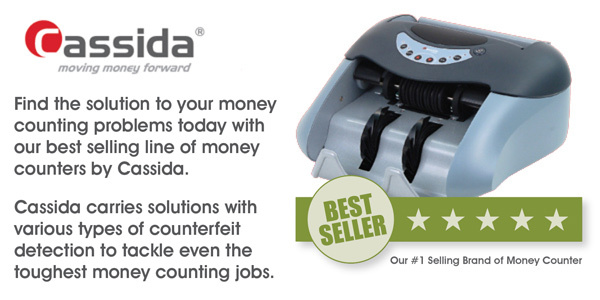 Tired of having people pass you counterfeit money, which is costing you profits? 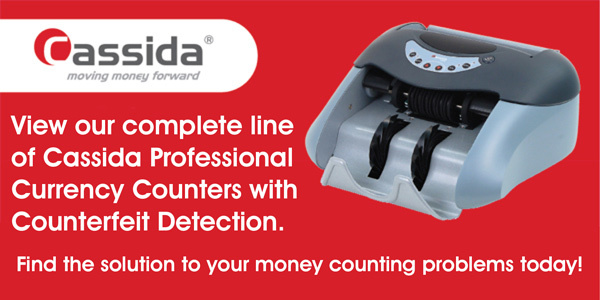 Let Cassida's line of money counters solve your problems! We are an authorized Cassida dealer and offer their full line of products, as well as accessories at prices that can't be beat.